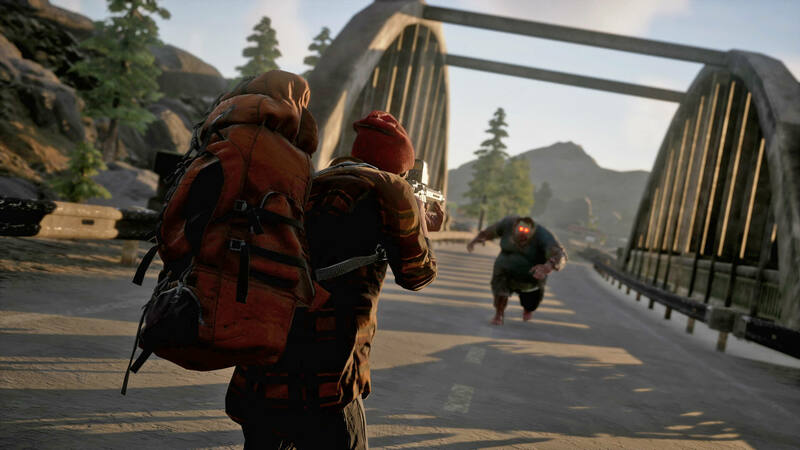 No one, not even Undead Labs, expected State of Decay to reach the critical and commercial heights it did when it launched back in 2013. It became one of the fastest-growing XBLA titles in platform history, which in turn got a sequel greenlit from Microsoft. 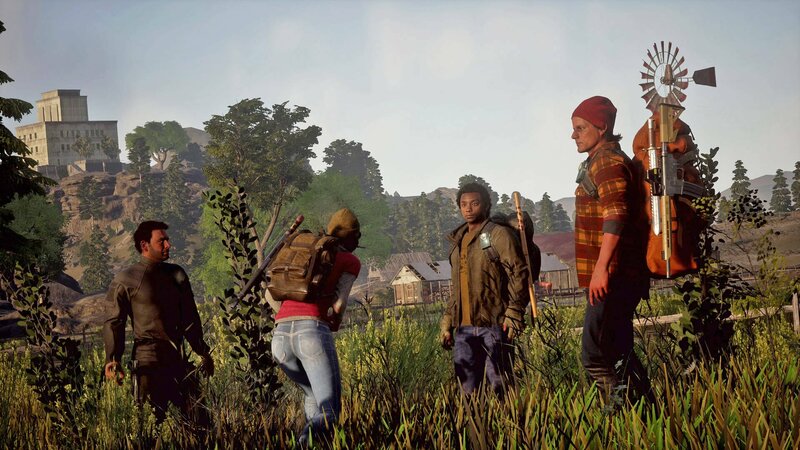 Multiplayer was always a goal the Seattle-based studio had in mind, and the sequel, State of Decay 2 brings that dream to fruition alongside a number of other new and improved features. Collectively they serve as a reminder that when it comes to simulating the zombie apocalypse, no one does it better. 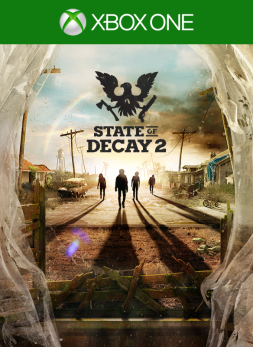 If you never played the original State of Decay, you needn't catch up before you play the sequel, though veterans of the series will find all the gameplay pillars of the original have returned, and in most cases, have been improved. After choosing a pair of semi-randomized survivors to begin the campaign in one of three maps, each the size of the original game's map, players are led through a tutorial that introduces the pillars of the multi-faceted zombie sim: scavenging, community management, and base building. Scavenging returns in an identical form; you can rummage through supplies strewn about the open world quietly and slowly, or more quickly but at risk of making noise and attracting the undead. Sometimes you'll find single-use items to keep in your characters' backpacks while other times you'll come across rucksacks of heavy but vital materials to bring back to your camp to better the lives of all your survivors. Weapon degradation also returns and combined with the very limited inventory slots, going beyond the safe zone of your communal home never feels easy. You can always swap to anyone in your community and they each have their own skills that can be upgraded by being put to use. It pays to swap among different characters so as to ensure each person is strong and durable for the harsh reality they face. Zombie hordes will now assault your base more often, and whether you're home for them or not. When heading out you'll always need to pack for the occasion and likely search for more supplies while you're out too. 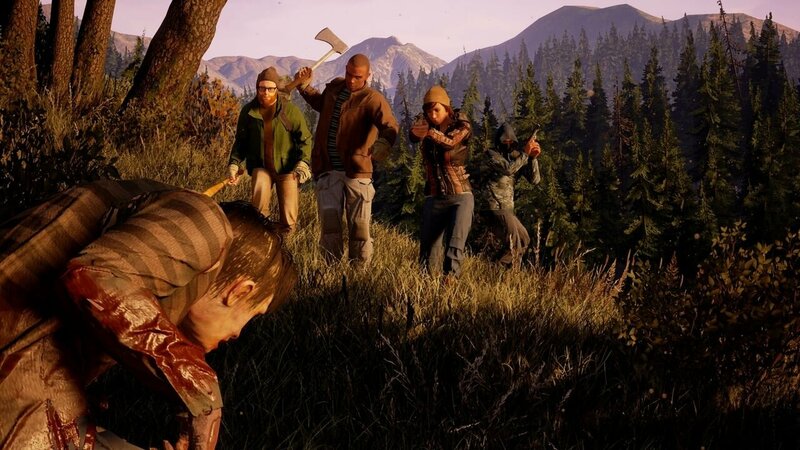 No melee weapon lasts very long, ammo is scarce, and though one or two zombies can be handled with some ease, a half dozen or more can overrun you in a hurry, especially for characters with poor stamina. Permadeath returns, likely to the delight of series fans, so there remains a strong sense of wondering if any simple mission may make for the last time you see home. There's now a greater focus on intercommunity relationships. In the original game, there were some hostile groups but mostly only in the way of prescribed story moments, and the story was never the game's strong suit. State of Decay 2 feels more comfortable to not focus much on structured story, and instead gives you more tools to create your own narrative through living day to day in the zombie world. When other groups come over your radio and ask for help, you can lend them a hand and maybe form new alliances, giving you fantastic bonuses. When they're ignored or you just run out of time to help, they may grow cold or even hostile to you, shooting you on sight should you venture near their encampment. You could even be a proactive warlord and kill them all no questions asked, rejecting all potential allies. The game adapts to your every decision. Along with all the other aspects to juggle, you now must also contend more with your neighbors. Each character still comes with a barebones personality and background, and like the first game, this is really the weakest point for the sequel. Voice acting is passable at best, but the lines delivered are never moving or important and players will mostly be left to role-play for themselves, should they be so inclined. Because animations are lacking as well, it should be hard to form bonds with these characters, but because they're all contributors and could be gone in a flash, it impressively doesn't work that way. What's new and more exciting to each character is their leadership path. Each person you allow into your community joins as a recruit. Through earning Influence (the game's currency in a post-monetary system world), they can be leveled up, first to a citizen, then a hero, and then players can choose among their heroes whom they'll elect as the Rick Grimes of the group to be looked upon as your leader and spokesperson. There are four different leadership styles, and each will net you different endgame missions and bonuses. When you've finished a legacy with one group, you can import up to three survivors into your next community and choose to move to one of the other two maps, though you can also move within a playthrough should you wish to. These things help keep things fresh long after you've saved the day with a community. Before you can get to those final legacy-defining missions, however, you must first destroy a town's complete run of plague hearts. These are immobile, grotesque, biomass statues of zombies that take lots of damage and after every few hits spawn a number of plague zombies in the game's new horde mode. These zombies are faster and more numerous, especially as you get closer to the end of a town's plague hearts. These plague zombies finally fulfill something most zombie games never try to mimic from other media: when they bite you, you get infected. It'll take more than one bite, but should you contract a fever taking out plague hearts or just fighting off the red-eyed undead, you'll need to be admitted to your community's infirmary (hopefully you have one) and tended to with a cure for the plague. The cure is difficult to acquire at first but as you take out more and more plague hearts, you'll eventually have enough samples to make cures for the whole town, which is actually disappointing since in so many other places the game doesn't go easy on you. Multiplayer is implemented thoughtfully, rewarding all players equally and driving cooperation. Creating those cures will also deplete your community's resources, however, and like the first game, these resources exist as a constant to-do list for players. Tracking food, medicine, ammo, building supplies, and gas, it's basically a fact that you'll always be lacking in something while juggling your community's morale and overall life prospects. You'll have a set number of areas in your community where you can build new stations, such as gardens, auto shops, or workshops. Deciding what's worth having on site and what's not is a tough choice, but they're a bit flexible. Upgraded workshops can eventually craft lots of the hard-to-find stuff from beyond your gates and gardens can grow food or medicine, it's your choice. You'll still never have enough to stay inside all the time, and anyone who tries to play that way would just be sentencing their community to a swift death. One of the subtler ways in which this game is better than the original is that now gas matters. The first game tracked gasoline reserves, but the cars never seemed to run dry. In State of Decay 2, gas supply management has gone completely the other way. They now lose gas quite quickly, but it's to the game's benefit. As vehicles can so often be the greatest asset for a successful mission, you'll be doomed to walk home if you don't head out for a long mission with at least a full tank of gas and another backup in your inventory. Abandoning cars on the side of the road while they're full of supplies you want to get home is a dire situation but it's State of Decay's bread and butter, and if that sounds like a hassle, this game isn't for you. Multiplayer comes in the form of four-player co-op and it works very well. One person hosts from their version of the world but all players have access to their own supply caches and loot is multiplied for each player in a game. If I search through a shelf for items, you can still raid the same shelf and we can each deposit our items into our own caches. If one does choose to be generous, they can also drop items for teammates. Multiplayer was always intended to be the goal for this series from the start but it was too ambitious for the first game. Seamlessly allowing for drop-in/drop-out and only letting players in when you signal it's what you want makes this new feature a real highlight of the sequel. You really should've brought some extra gas. Visually the delta between other games of its era and State of Decay 2 is not as vast as that of its predecessor. Things don't look exceptional with textures and character models that never exceed just fine, but it has its moments, especially when night falls in the long day-night cycle. It's genuinely dark, which again helps sell the game's merits as one that won't pull many punches. I was shocked to see, when I flipped a car, that the game let me flip it back with a button press. There are few such concessions in State of Decay 2. It welcomes you to die. Achievements come fast and furious for the first six to ten hours before settling down a bit as you're left with just the long-term stuff. 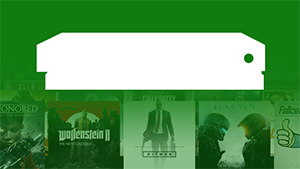 You'll get Gamerscore for doing all this game has to offer, though if you want to complete it, you'll need to either manipulate cloud saves or play it no fewer than four times, with each playthrough taking around 15-25 hours depending on how focused you are. For fans, it's a fun list. For Game Pass achievement hunters, it's deliberately uninviting unless you're content to stop midway through the 1,000 G.
If you walked away from the original game feeling flustered from the constant micromanagement of everything, State of Decay 2 isn't going to change your mind. All of those aspects return and in many cases are made deeper. For a game to do so much at once you'd reasonably expect more bumps in the road than how few are found here. 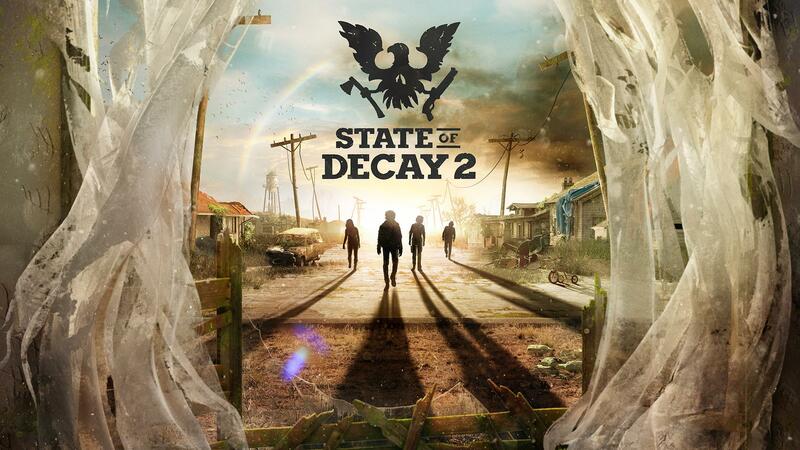 Story, voice work, and animations are all still goofy, but throw in co-op multiplayer, better endgame content, and more reasons to replay it, and State of Decay 2 is the type of game with which certain players will fall in love. There's always something to do and in a classically sim style, it's hard to know when to stop. It's the most realistic zombie apocalypse simulation in the world and that's a beautiful thing. The reviewer spent 25 hours scavenging, base building, fighting and dying for 50 of 62 Achievements (745 Gamerscore). A review copy was provided by the publisher. The game was played on a standard Xbox One.